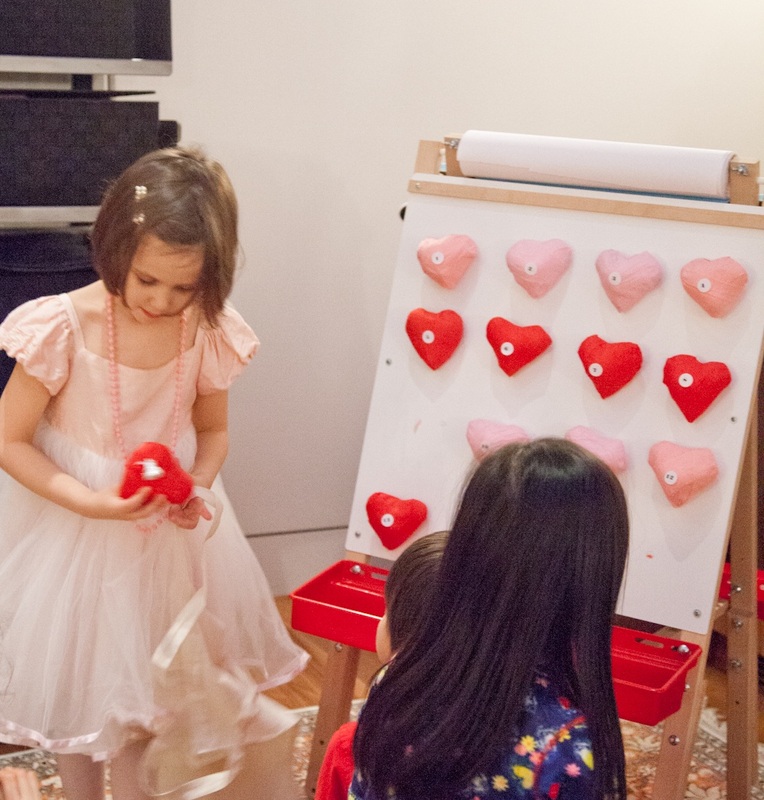 For a fun party game (and because we wanted something other than a pinata), we used a bunch of surprise ball hearts, attached them to a board with glue dots and added numbered stickers. 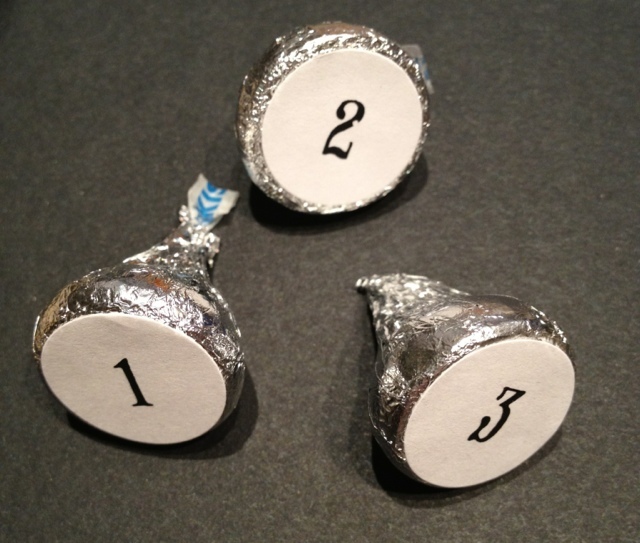 We attached the same numbered stickers to the bottom of Hershey’s Kisses. (Avery’s 3/4″ round labels fit perfectly.) Each child picked a Kiss out of the bin and had to find the heart with the corresponding number. You could make this game with regular round surprise balls or make egg-shaped ones for Easter. Just make sure to have extras on your board so that even the last child gets to make a choice.